With the NFL season having come to a close, many players set their sights on offseason activities. For many players around the league this includes youth camps. The camps give young players a chance to get hands-on experience and learn pro level techniques from some of the games top players. 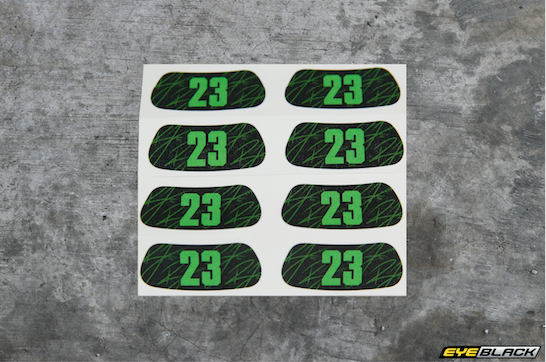 Over the 2016 offseason we worked with many players, including Kirk Cousins, Rashad Jennings, Morgan Burnett, and Rodney McLeod. We are always proud to assist the players in this work with their local communities. 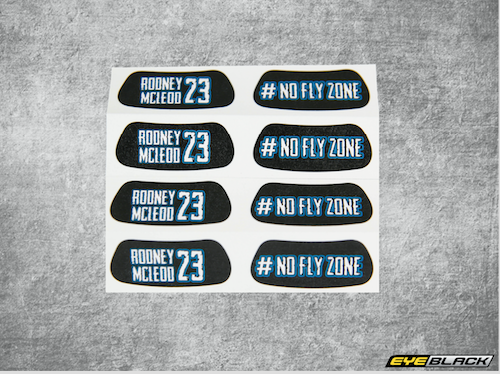 Below we take a look back at the custom eye black designs created for the players for their camps in summer 2016, as well as a description of their camp. 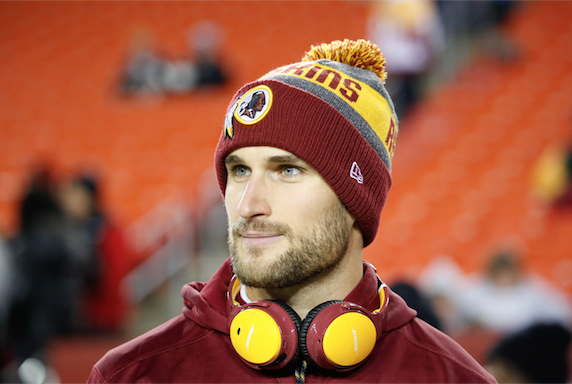 Each offseason Kirk Cousins returns to Holland, MI where he played his high school football, to run his youth football camp. 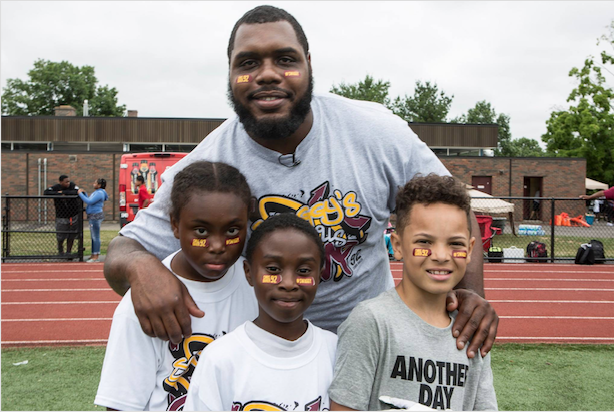 The camp will give 300 lucky 6th, 7th, and 8th graders a chance to hone their skills with the Redskins Pro Bowl quarterback. 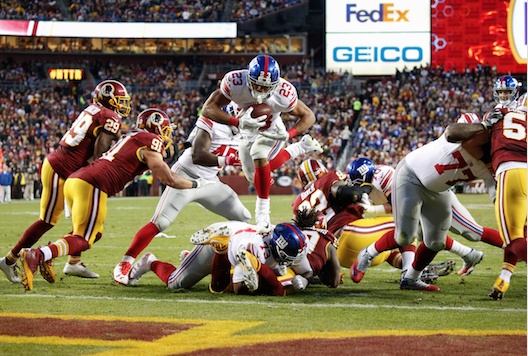 New York Giants running back Rashad Jennings hosts his Camp 180 each offseason, which is open to the first 500 youth ages 6-17. 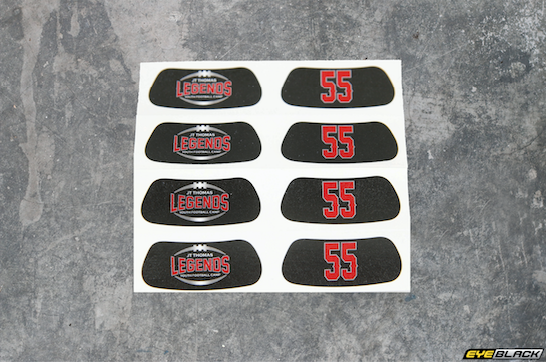 The camp is held in Lynchburg, VA serves to equip youth players with the proper skills, techniques, and knowledge for the gridiron as well as helping to teach valuable life lessons. The camp consists of former NFL players, high school and recreational coaches, and volunteers. 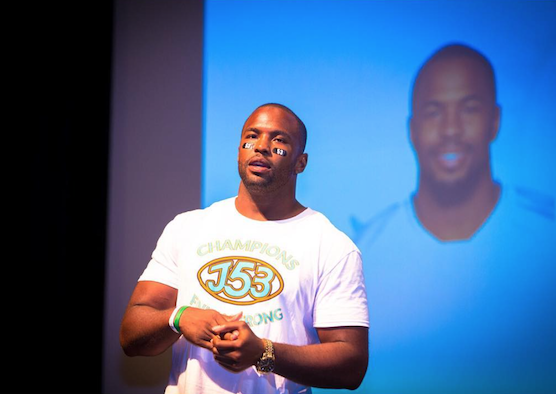 The camp is run by the Rashad Jennings Foundation. Eagles safety Rodney McLeod will holds his annual youth football camp in his home state of Maryland at DeMatha High School. 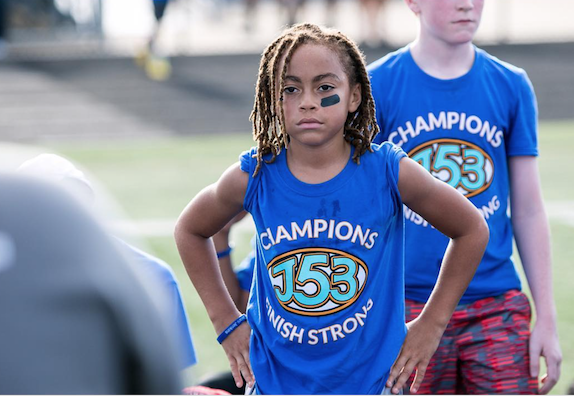 The free camp is open to kids ages 9-14 and focuses not only on sharpening the on field skills of those in attendance, but also on core themes and life lessons including perseverance, dedication to academics, and healthy living. 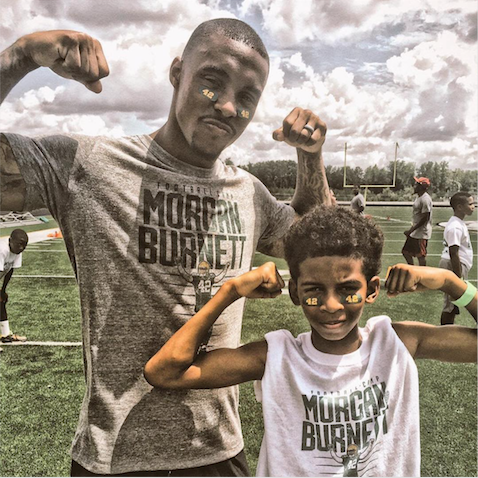 Green Bay Packers safety Morgan Burnett hosts a free two-session youth football camp for youth players ages 5-18. 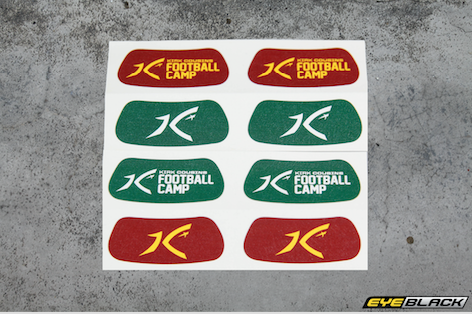 Campers develop their football skills and will receive awesome camp gear and NFL player autographs. 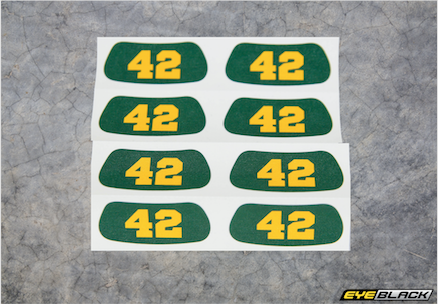 Over summer 2016 campers received custom Morgan Burnett #42 eyeblack! 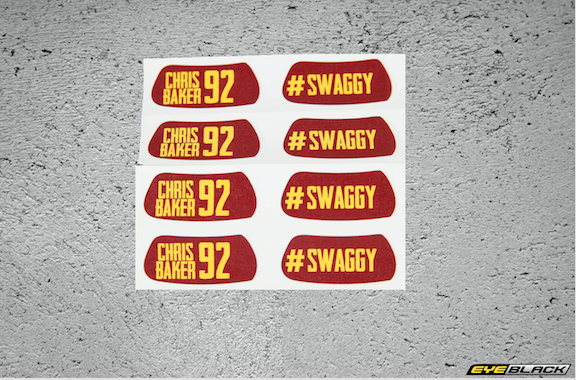 Washington Redskins defensive lineman Chris "Swaggy" Baker hosts his annual youth football camp in Windsor, CT. 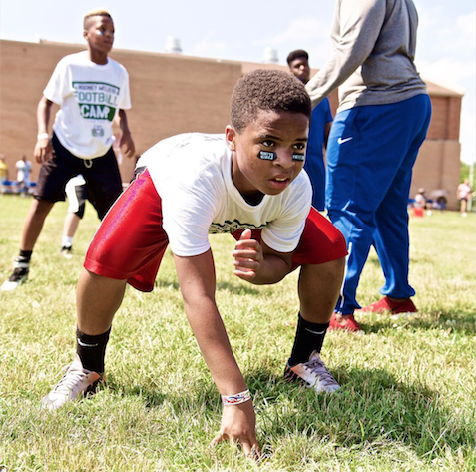 The free camp serves to elevate the campers football knowledge and skill, teach appropriate and effective techniques, and build confidence. 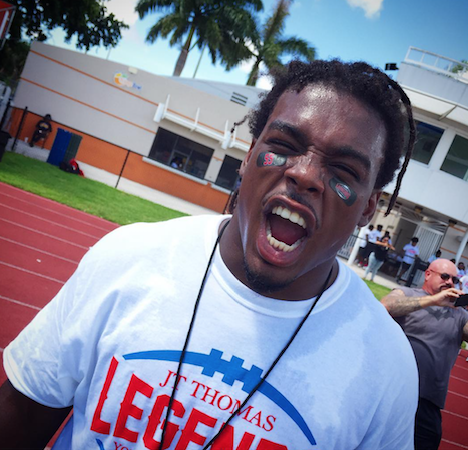 New York Giants linebacker JT Thomas holds his annual Legends Youth Football camp in Fort Lauderdale, FL. The camp is free and open to first come first serve registrants grades 6-12. The camp aims to tech proper football techniques including non-contact drills and stretches to prevent injury. The camp also looks to instill in the participants the ideals of dedication, working hard, and keeping the body right through healthy eating and exercise. Miami Dolphins linebacker Jelani Jenkins hosts his youth football camp this summer at his high school alma mater Good Counsel in Olney, MD. The camp is open to participants who are rising 5th-9th graders. The camp will look to improve the football IQ of the camp’s participants through position-specific techniques, fundamentals, and skill-development. The camp also features a unique parents seminar to review strategies in order to help the kids reach and succeed at the next level.